Mobile phone is essential tool for all of us in nowadays society. The memory cards as a mass storage device in smartphones are a necessity. It is also widely used in digital camera, MP3 players, game consoles, and other digital devices. But the memory card is prone to failures, if you do not pay much attention to the maintenance. The failure may cause data loss. So how can we recover data from SD card? Data loss form accident delete or the SD card get a virus. After inserting the SD card, the card can be recognized but the files on SD card cannot be recognized. There are some files on SD card are damaged. Such as messy code in eBook, murky or mosaic pictures. The MP3 player cannot work. Even the files cannot be deleted. The speed of SD card reading and writing is very slow. Above are all the data loss problems we may face in using SD card. How can we recover data in those cases? If you just accident delete some filed, you can use data recovery software to recover them. If the SD card get a virus, download a antivirus software to kill virus. When it prompts a SD card problem, you just put it out and try several times. Most times it is a contact problem that result in SD card formatting prompting. If you have re-plugged it for several times and does not work, you can ask the data specialist for help. Do not directly format it, or it will cause entirely data loss. The files in SD card damaged or cannot be recognized. First, you need to make sure that if the files are hidden. If not, your SD card may have get virus. Then, if file are still not available, you need data specialist’s help. The slow read of SD card is due to long time using. You can backup all your data and then change a SD card. 1. 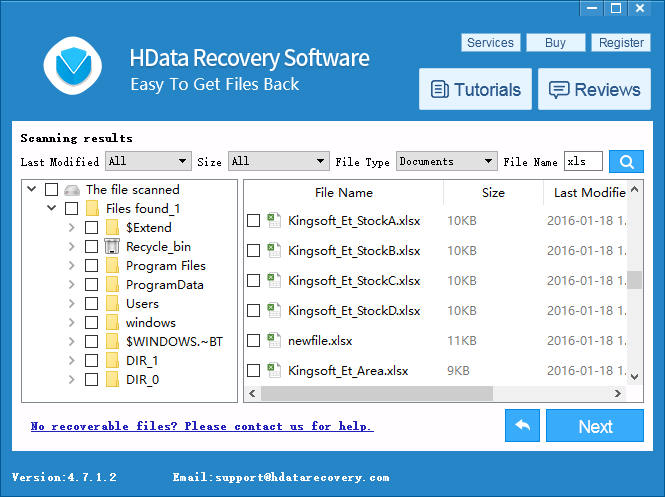 Install and launch H Data Recovery Software. Free download the evaluation version to test out the data recovery capability for absolutely no charge. 2. Insert the memory card into a USB card adapter and plug your card adapter into your computer. Select the Flash Memory Recovery module by clicking it. The software will automatically detect all the flash memory cards currently connected to this computer. Choose your memory card and click Next. 3. 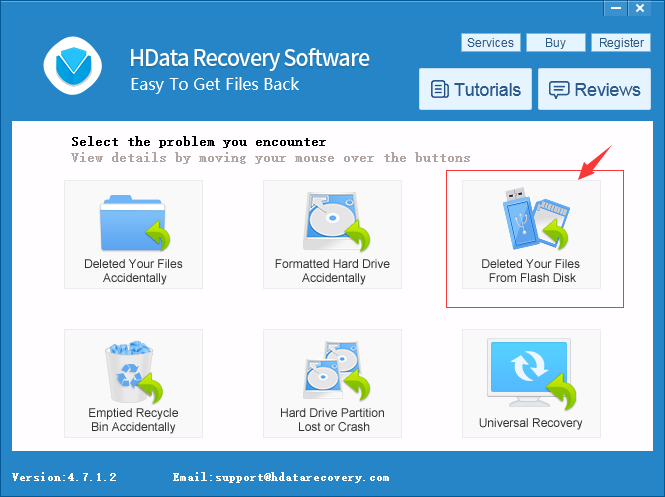 H Data Recovery will scan the memory card file system and try to find and reconstitute the files. When the scan is complete, you will be able to see the list of all recoverable files. If you act quick enough after the format, the chance of a complete recovery is very high. 4. Select all the files you want to restore, and click the Next button. Choose a directory that you want to restore these files to. Deleted files can be overwritten by new files so it is important that you perform the data recovery with the right tool as soon as you can. Also, when choosing the directory to put your recovered files during the recovery, do not store these files directly on your SD card in order to avoid other unrecovered files being overwritten.